Have more fun with your minis! The Dungeons and Dragons Role Playing Game isn't the only way you can have fun with your minis! Challenge yourself and your friends with this strategy game of combat and exploration set in the Dungeons and Dragons Universe! Break out ALL of your minis (you might even find that you want to buy some additional ones too) and create warbands to take on rival adventuring parties, gladiators of the arena, unfriendly wildlife, denizens of dungeons and even....dragons! Like any good game, D&D Miniatures is easy to learn but challenging to master. All you need are some minis (even cardstock cutouts or tokens will do, but the pre-painted minis are cooler! ), 20-sided dice (or D20), maps with one-inch grids and the official stat cards and rule book. The stat cards, item cards (yes you can add items to your heroes' inventories), rules, pre-written scenarios and more are available for free download from www.ddmguild.com. Any one-inch grid maps will work, but there are many great maps available at www.dapperdevil.com and from the older D&D RPG adventure modules which are specially made to work with DDM. Check out this Lens for more info! Here's a cool video showing some of the minis we use in DDM Guild games. The maps we use are usually 2-D and not this elaborate but they are still really cool looking. The minis come pre-painted out of the box, but you can repaint them to make them look however you want. Some of the minis in this video were repainted. Video Review of the Original Version of DDM - DDM Guild has released a new rule book and much more gaming gear since this was made! This video is of the first version of DDM that Wizards of the Coast released. DDM Guild has released revised rules, scenarios, new stat cards for every mini made, item cards, more maps etc. These items are available at www.ddmguild.com. This video is not exactly what the new and improved DDM game is like, but shows the basics of the game well. The Guild members have made new cards for most of the miniatures that are even better than the ones shown in the video. One of the changes is that the defenses for most creatures are split up into Will, Reflex and Constitution instead of being just Defense. Here is an excerpt from a great article by D&D's Jim Ansaldo. You can see the full article and more about DDM at Wizards.com! Once you are on the Wizards main page, type "ddm" into the search box. "October 23, 2008: Black Thursday for skirmishers the world over. "November's release of Demonweb will be the last new D&D Miniatures set that includes skirmish statistics" (Scott Rouse, D&D Miniatures Changes Explained). I read that sentence three, four, five times. My stomach churned, but my mind set to work. 'Hell, no; we're not done.' Emails were exchanged. I wasn't the only one determined to keep this game alive. November 20, 2008: Hope returns. "The Goal: Grant an official license to community members to continue making skirmish stat cards for future D&D Miniatures releases" (Scott Rouse, D&D Skirmish Update!). The DDM Guild is born. February 1, 2009: The DDM Guild launched officially at D&D Experience in Fort Wayne, Indiana. A seminar was held. The room was packed. Anticipation and excitement were high. Chris Tulach supported us with brand new minis to show off. Swag – item cards and a new map – were hoarded with glee. What is the DDM Guild? The DDM Guild is an officially-licensed, community-driven organization formed to continue development and support of the D&D Miniatures Game, including maintaining rules, overseeing DCI-sanctioned and unsanctioned events, and creating new cards for future D&D Miniatures sets, starting with Player's Handbook Heroes: Series 1 and Monster Manual: Dangerous Delves in Spring 2009. On the ground, the DDM Guild is organized into Chapters. A DDM Guild Chapter is a local gaming community, headed by a Chapter Master, and comprised of members who play face-to-face on a regular basis and who have registered for membership with the DDM Guild. Chapter members receive all the regular benefits of DDM Guild membership and, in the future, will be eligible for organized play rewards and participation in special events. At present, we're proud to have established over 50 Chapters in 14 nations around the globe. Visit the DDM Guild's website for more information on forming, locating, and joining a chapter. What Has the Guild Accomplished Thus Far? Several new resources are available for download from the Guild's website. New Stat Cards: The DDM Guild will release new skirmish stat cards to accompany Wizards of the Coast's 2009 D&D Miniatures sets, beginning with Player's Handbook Heroes: Series 1 In April and Monster Manual: Dangerous Delves in May. The Guild has developed a new card format for these releases and has begun creating cards for all published D&D Miniatures sets using the new card format. The new format incorporates all official errata and uses language intended to disambiguate card text such that one needs only to read the card in order to understand how powers work. So, while cards released by Wizards of the Coast remain usable in both sanctioned and un-sanctioned play, players may prefer to use the revised card format. All Guild stat cards are free for download from the Guild website. In addition, the Guild is offering professionally-printed stat cards as premium gifts for Guild donors. New Battle Maps: The Guild has introduced two new battle maps for use in sanctioned play. Fallen Fortress was generously donated by Wizards of the Coast. 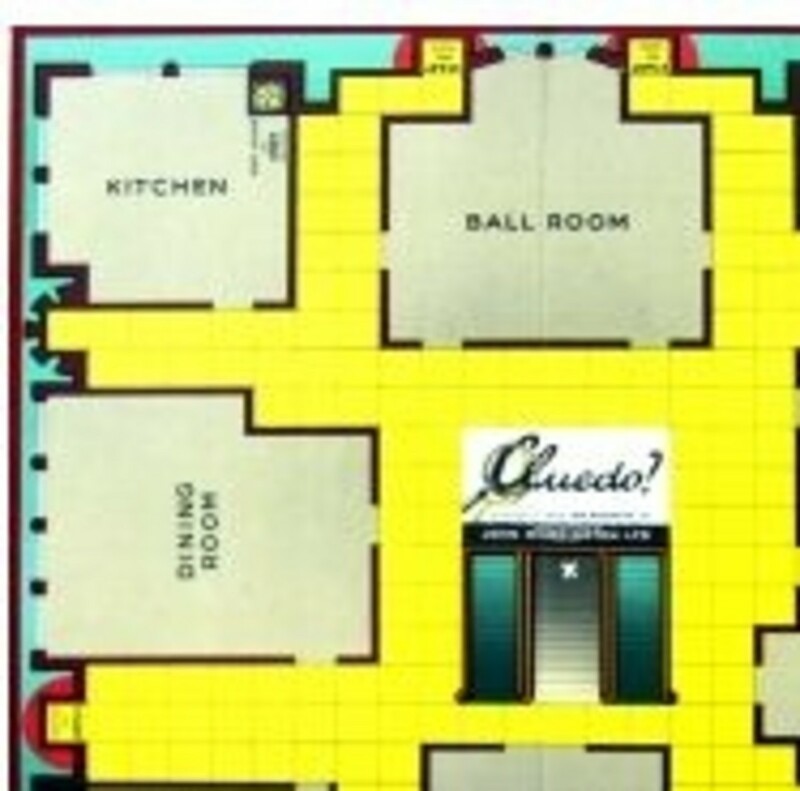 The map was originally slated to appear in the 2009 D&D Miniatures Game Starter Set. A second map, Temple of the Unseeing Eye, was originally produced as a fundraiser for hordelings.com and has been adopted officially for sanctioned play. 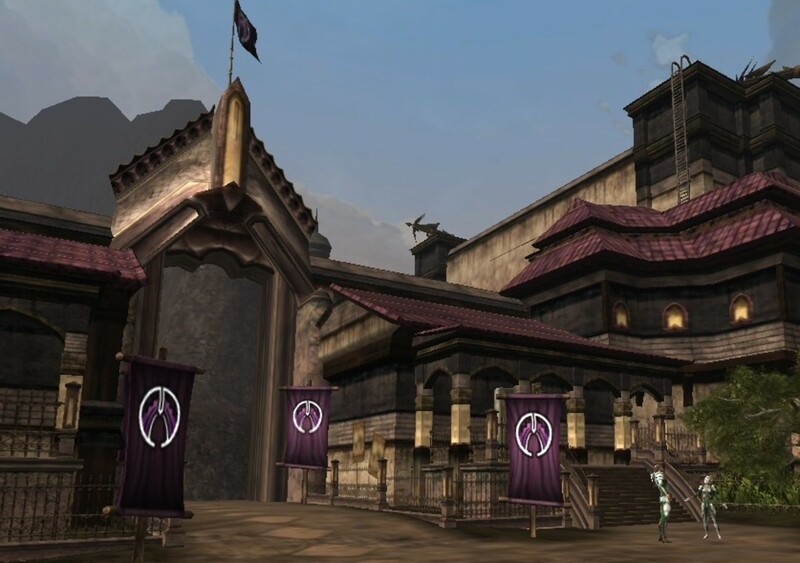 Both Fallen Fortress and Temple of the Unseeing Eye are available as premium gifts for Guild donors. Item Stat Cards: Since the days of the Miniatures Handbook and the first attempts at campaign-style play, it's been a goal to augment a miniature's statistics block through the use of magic items and other equipment. Treasure Trove 1 is the first set of 16 item cards that are usable in sanctioned play. Rules for the use of item stat cards can be found in the Battle Rules (2009) rulebook. Item stat cards are free for download from the Guild website, and in the future, the Guild plans to offer professionally-printed item stat cards as premium gifts for Guild donors. Dungeons & Dragons Miniatures Tournament Competitive Floor Rules and Penalty Guide: Competitors, Judges, and organizers involved in DCI-sanctioned tournaments are responsible for knowing and following the most current version of the Dungeons & Dragons Miniatures rules. This Floor Rules and Penalty Guide should be read and understood by all players wishing to compete in sanctioned events. All DCI members participating in DCI-sanctioned Dungeons & Dragons Miniatures Game events must abide by these rules. Articles: The Guild's website is home to numerous articles on design, organized play, Chapter activities, and much more. Of special interest to Chapter members and miniatures artists are Megan Smith's monthly DDM Guild Repaint articles. Meg offers artists both new and experienced a step-by-step guide to producing custom D&D Miniatures repaints that can be used to support league and tournament play, game demonstrations, or any other special event." Since this article was written back in 2009, DDM Guild has released several scenarios which act as brief back stories for battles. Players are encouraged to play these scenarios and to write their own as well. DDM Guild has also made new stat cards for all of the creatures in the new Lords of Madness minis set! So now, there are DDM stat cards for every set of pre-painted minis ever made. They have also released two new maps: Haunted Quarry and Tract of the Tarressque, both of which can be bought from www.dapperdevil.com. Proceeds from these maps go to helping keep this non-profit group going. Other than maps, everything else that DDM releases is free on the www.ddmguild.com website! DDM Guild also has a good presence at gaming conventions around the world including D&D Experience, Gen Con Indy, Gen Con, NeonCon, Stratigicon, ConQuest Vegas and more! We also play at local gaming events and game days and have local, regional and national tournaments that are sanctioned by DCI. Newest Set is Lords of Madness! 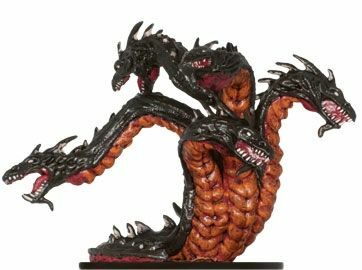 DDM Guild has stat cards for all of the D&D minis sets including the newest one: Lords of Madness! This set has some really cool and some really funky creatures in it. One of the coolest is the Heroslayer Hydra. He's one powerful and tough dragon! What makes him especially tough is that he can regenerate new heads if you cut one off! One of the funkiest new creatures is Brain in a Jar! This is just what it sounds like: a brain (of some sort) in a big jar set on a base. The Brain in a Jar has the ability to control ally or enemy creatures! It can also deflect some of the damage you intended to inflict on it onto an ally that is close to it! Meet the largest 'mini' to have a DDMGuild Stat Card! Icingdeath from the popular Legend of Drizzt books is playable in DDM! 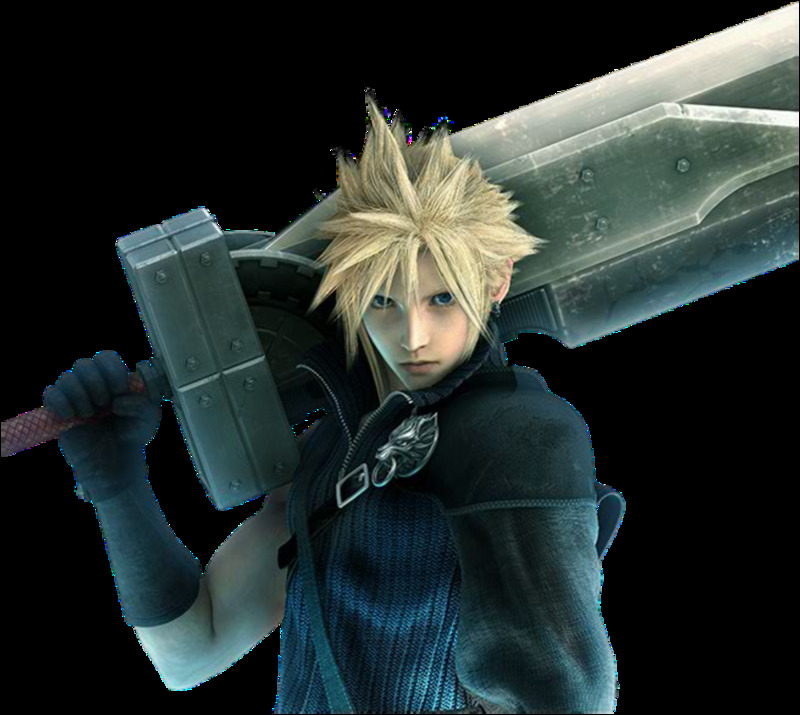 He's got a lot of HP and some really powerful attacks! He's every bit as tough to kill as he was in the books! Speaking of Drizzt, you can have him and his allies such as Cattie Brie, Wulfgar and Thorin in your warbands! There are minis and stat cards for these guys in the sets! Some of them have 'regular' and 'epic' cards too! Cool D&D Stuff on Amazon! - Check this stuff out! DDM makes use of the minis from Heroscape D&amp;D sets as well! There are three waves of booster packs in addition to this master set. I love the elementals and phantoms especially! Some of the minis are even re-makes of rare and out of print D&amp;D minis! Our local guild has also written crossover rules to make use of the tiles, treasure glyphs and more from Heroscape in our DDM games. Beholders are among the nastiest creatures in DDM! It's always a great idea to have a few beholders available to put in your warbands. They make great enemies for DMs to control in Dungeon Delves too! This is one of the out-of-print classic D&amp;D booster sets. There are some really cool minis in this set. There are many other older sets out there too like Demonweb, War of the Spider Queen, Harbringer, Desert of Desolation and more. If you see any boosters from those sets, get them. Here is one of the booster sets of minis that go with the Heroscape D&amp;D Master Set. There are DDM stat cards on the website www.ddmguild.com that will work with these creatures. The names are different, but there is a chart on the website that shows which Heroscape creatures match up with which cards. Find minis, maps and more for DDM on Ebay! - If your local stores don't have it, you can find it on Ebay! Ebay is a great source for D&D stuff! You can find individual minis, groups of minis, sealed booster packs, dice, maps and more on here! I've bought several individual minis of creatures that are very rare and hard to find in the booster packs on here. I got them pretty quickly and they were in excellent condition. This is the site to go to for the latest info about DDM! Play DDM and other games in Las Vegas! This is a great site for meeting other gamers, finding out what is being played and where in and around Las Vegas. The main focus is on table-top games like DDM, Warcraft, Magic, Warhammer etc. but video game discussion is encouraged too. Check out these cool items that I have designed for D&D fans and players of DDM! CCDDM Guild gets a cut of the profits from these items, so you'll be helping to support the guild at the same time! Show your support of CCDDM Guild with this cool stuff from Cafe Press! The guild gets a cut of the profits from these items, so you'll be helping to support the guild at the same time! Here's the home page of another great chapter of DDM Guild! They are centered around Tennessee, so if you live closer to that state than you do to Nevada, check out the page and tell Don I said 'Hi!" DDM is worldwide! Don't believe me, check out this cool site! How's your Russian? If you can read it, this is a great site from Russia! This is a really active site of fans of DDM, Star Wars Minis and Dreamblade, Axis and Allies and table-top gaming in general! What do you think? - Take a Poll! You've read some of my thoughts on DDM, now we want to hear from you! Yes! Every chance I get! I'd like to, but don't know anyone who plays. 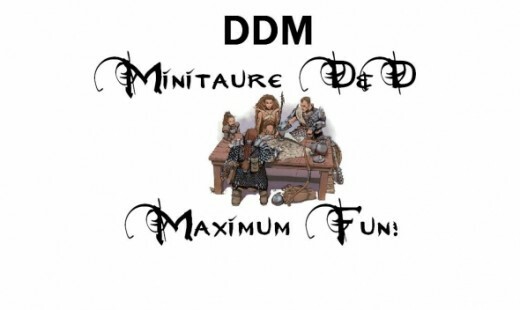 DDM: Miniature D&D, Maximum Fun! So give DDM a try! It's faster paced and more exciting than the role playing game. There is not long-term time commitment: play when you want, where you want for however long you want to. You can play alone with the solitaire version, competitively against two or more people or cooperatively with up to eight people on Dungeon Run! There are many official variants and even a few unofficial ones. Everything you need that is unique to the game is free from www.ddmguild.com! Everything else are items that most table top strategy and role playing game players have around such as D20 dice, 1 inch grid maps, paper and minis. If you don't have D&D minis, there are many places both online and in towns to get them. So it's a pretty inexpensive game to get into. 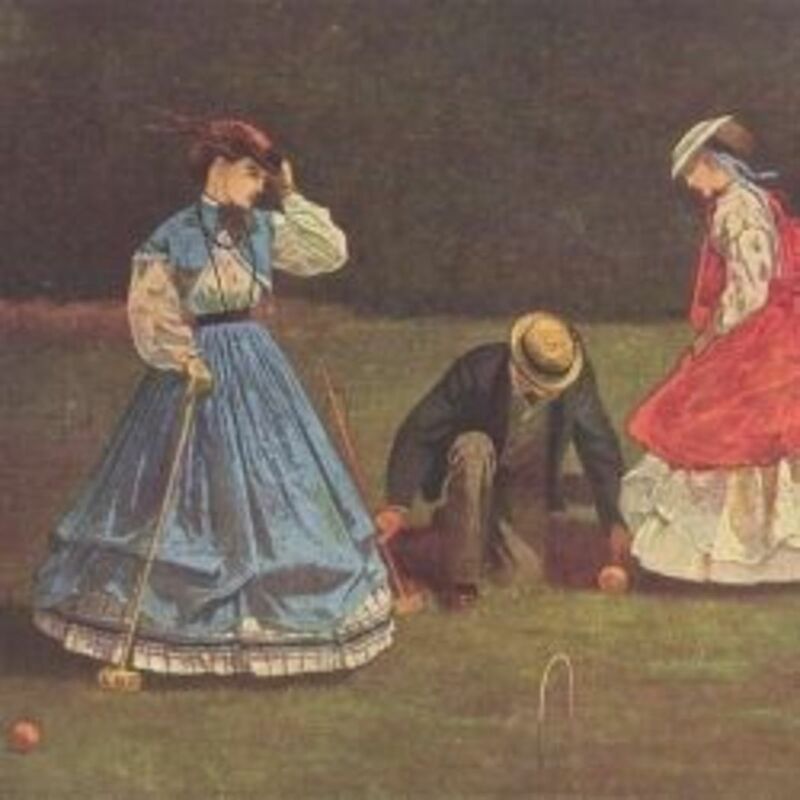 There is even an online league where you can play DDM with others online through a program called VASSAL. Go to www.hordelings.com for more details on that. 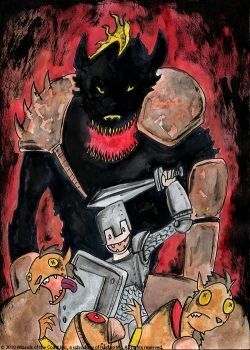 There are games where you battle for fame and fortune in a gladiator arena, ones where you encounter fierce animals and monsters as you travel, ones where you search dungeons for treasure, ones where you fight big battles against armies and many more! So, there is something for everyone in DDM! We DDM Players Love Heroscape Too! We love Heroscape too! Especially now that it has a D&D master set and three expansion sets! 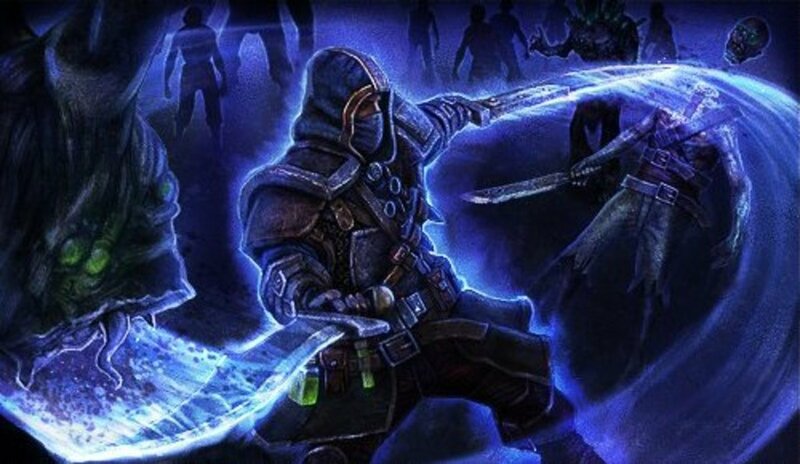 Wizards of the Coast seems to be rediscovering the fun of a fast and user-friendly game! In the winter of 2010, they released Castle Ravenloft the Board Game! In the spring of 2011, they are planning on releasing a follow-up game called Wrath of Ashardalon the Board Game. I am playing Castle Ravenloft and find many similarities between it and the Dungeon Runs and Scenario Battles in DDM. It is a bit more of a role-playing game than a battle game (though it does focus a lot on combat), since you only control one hero instead of a whole warband and you and the other players are playing co-operatively (which you also do in some versions of the DDM Dungeon Run). In these new board games, you and your friends are both the heroes and the D.M. as you control your hero and any monsters you draw from the Monster Deck. I love the random aspects of the game! With modular tiles, monsters, villains, encounters and treasure that you shuffle into decks of stat cards, it's never the same game twice! You also get to pick which powers your hero uses and even a chance to level up to level 2 sometime during the game. There are also published story-based adventures in the huge box the game comes in. Fans of the game have also been posting their own adventures, custom made heroes, monsters and treasures online as well. Just search for "Castle Ravenloft" online and you'll see many links to them. I've made a few monsters, heroes and quests for the game myself. It's as much fun as playing the game in my opinion. I've also painted the miniatures that come in the box (after the game you will see below was filmed) and have added a few from my existing minis collection for my new heroes and monsters. There really is no limit as to what a creative person can do with this game. It is just as easy to learn as DDM is and just as challenging to master. If you love the fast pace, combat and treasure hunting of DDM, you'll love Castle Ravenloft the Board Game! Here is a video I've made about an idea I had for rolling dice inside a clear capsule with a flat bottom. They are the capsules you get sometimes from coin-op vending machines. They work great! Quite Possibly the Best D&D Youtube Video Ever! I was worried at first that this was one of those "I hate D&D" spoof videos, but the end is awesome! Check it out! We'd love to hear from you! Do you play DDM already? If so, where and when do you play? If not, would you like to learn more about the game? Please Sign the Guestbook! - Better yet, propose a time and place to play DDM and I'll see if we can be there!